In September 2018, WIC completed an independent social return on investment analysis (SROI) of our most recent CITB funded project – Changing the Face of Construction. This evaluates the financial, social and environmental impact of our work, calculating a monetary value for the outcomes. For example, for each woman we assist to find employment, there is a saving to the state in un-employment benefits, and a benefit in terms of tax contributions. 100% of women who secured employment stated they would not have been able to secure a job in the construction industry without Women into Construction. WiC Member companies stated one of the most important outcomes was having access to a pool of women who are work ready, enthusiastic and are supported by WiC to stay in work and progress in their businesses. For Client organisations, WiC helps accelerate their drive for a more inclusive, diverse supply chain. Industry stakeholders and other partners stated that WiC has a key role in influencing policy, practices and perceptions of the construction sector. The Women Into Construction project was independently assessed in 2014 by Dr. Tessa Wright of Queen Mary/ University of London. Her report, Women Into Construction: An assessment of a model for increasing women’s participation in Construction, evaluated the experiences of the women we work with, contractors and stakeholders. 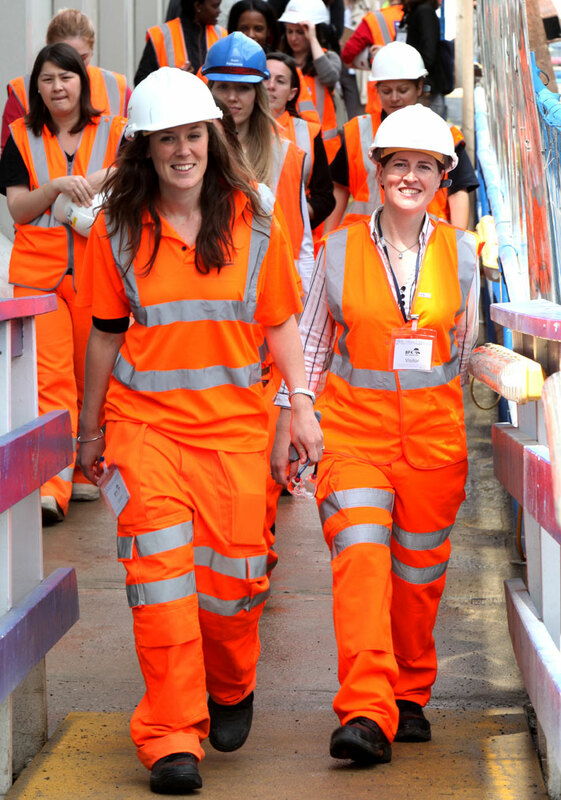 Building the Future: Women in Construction, edited by Meg Munn MP, looks at the challenge of getting more women into the construction industry – and why it’s important to do it. To read full report, click here.